Archivist is designed on a very lightweight development framework providing you with a very fast user experience while working. Send fee reminders, attendance status, result cards, promotional messages and many other reports with just a few clicks. Highly secure system with controlled access over each feature to hide from any user. Daily backups are taken in 2 different countries. Now Director, principals and school owners can keep in touch with latest insightful data maintained in this school management software. Create your own fee types, fee terms, fine rules, discount rules, exam types, carry forward marks calculations and much more. With all in one package you get free updates in the software. You don’t need to download any file. Everything is done automatically. Archivist Online offers you with the most easy and user friendly experience. With its sleek and simplistic design, you can easily manage the constantly changing enrollments of schools and colleges in the best way possible. 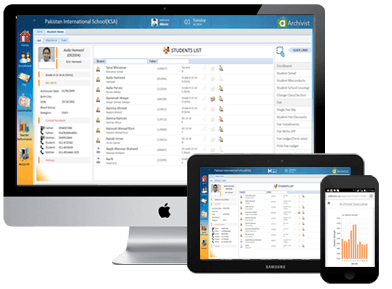 Archivist is a school management system which includes hassle free fee management software that helps you you to go paperless by reducing 90% of your manual work which saves your administrative staff with a lot of valuable time. Our powerful accounting software for schools allows you to control and manage all of your college and school accounts effectively and efficiently and gives you the best insight of your organization financial status. Examination system is the backbone of every school which requires you to make sure that you are able to accurately and fairly evaluate each student. Our school mangement software provides you with an easy way to simplify the exam process. 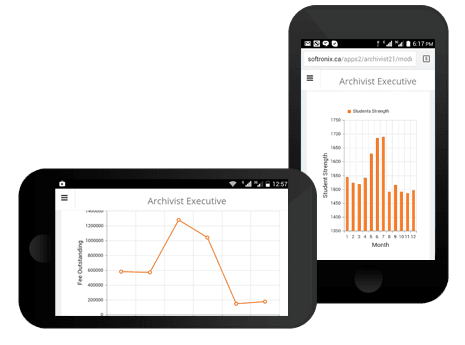 Archivist launched its specialized mobile version for schools, principals and directors. Administrators can now stay updated regarding daily school reports from their mobile phones. All the important information is now in your hands. Archivist launched its new specialized mobile version named as Archivist Executive for Schools’ Principals and Directors. 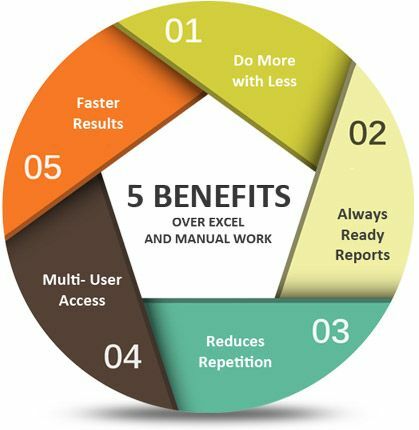 Executives now can get connected with the daily reports of their schools /educational institutes in a while by having the information in their hand. It is just one touch away. Archivist Executive enables institutes stakeholders to get the analytical reports against their multiple campuses on their smart phones remotely and from everywhere. Exceptional Customer Service You Can Count On! Here at Archivist Online we offer top notch customer support team members that are always there to provide you with the high level of customer service that you need. Our trained and knowledgeable customer service team is always here to provide you with the responsive support that you need and deserve for your school or college. If you want to see how all these features working and have a live demo, just follow this link.